We are still running trips and will continue as long as this great weather holds out. If you've never spent a crisp fall day on the wild and scenic Mississippi River during the fall color season, now is your chance! 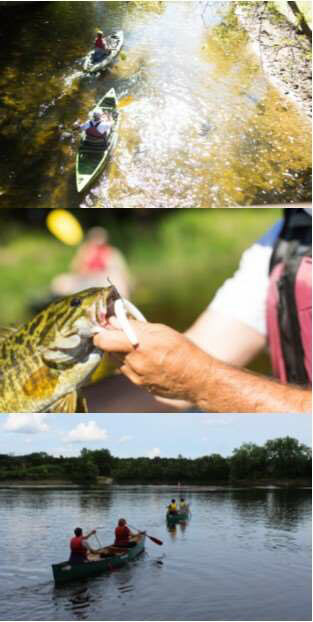 Take a break from the stress of school or work and come unwind for a day on the water. We are currently at 25-50% color change! for one last paddle of the season! Our entire 2017 inventory of both new and used boats & boards have been marked down! Stop in today or check out our website to take advantage of these incredible deals, while supplies last! As usual, we had a great turnout for our September 30th tournament, and saw many familiar faces. Despite water being higher than usual, everyone still had a spectacular time and caught many big smallmouth. After fishing, everyone enjoyed a fantastic meal from Cutting Edge Catering (Nelson Brothers Restaurant, Pub, and Bakery) and ice cold beer from Beaver Island Brewing. A huge THANK YOU to all those who participated and helped! 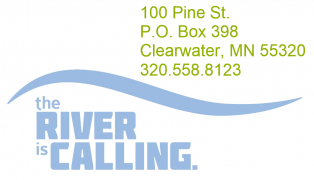 A special thank you goes out to our main sponsors: Clearwater Travel Plaza, Nelson Brothers Restaurant, Pub, and Bakery, Current Designs Kayak, NuCanoe, and Jackson Kayak. 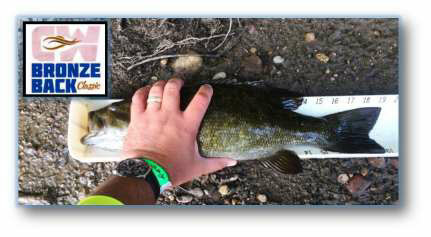 62 Smallmouth Bass scored, many more caught. 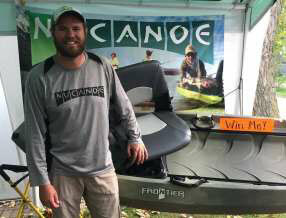 Top 10 anglers had average score of 52.53"
16 fish scored over 18" with 7 over 19"
Congrats to our top winner! Check out our Facebook Page for Photos from the tournament! 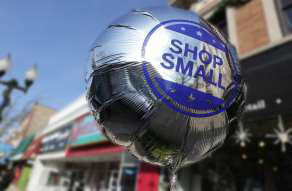 Small Business Saturday is a day to celebrate and support small businesses and all they do for their communities. Please be sure to get out and support your local businesses by shopping locally on November 25th! We hope to see you on Small Business Saturday!! If you spend $100 at a local business, roughly $68 stays in your local economy. If you spend the same at a large business, only $43 stays in the local economy (Source: Civic Economics Study in Grand Rapids Michigan). Fall weather is ideal for enjoying a paddle down the scenic Mississippi from the comfort of a boat, but that doesn't necessarily mean that you will want to take an unexpected dip in the river! 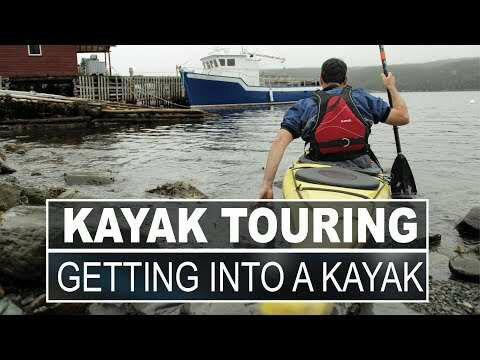 This short video gives you some tips on how to make the transition from shore to kayak without getting wet. 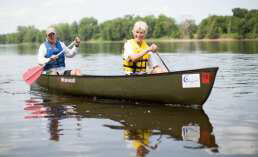 Show your loved ones that you care during the holidays by gifting them a scenic paddle trip! 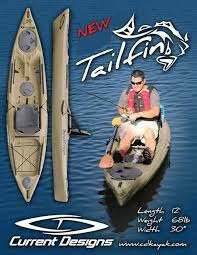 Get the lowest prices of the year on our popular river trips while they last!! We are only selling 75 trips at over 50% off right now for YOU, our Insider Secret Deal Customers! These trip certificates make great gifts for the holidays! To purchase, click one of the links above & follow directions. Follow us on Facebook for more up-to-date goings-on, events, and trip pictures! Thank you for allowing us to be a part of your paddling experience. We are VERY flexible with appointments!